People are often skeptical when we tell them we can paint a 2-stories house with 3 different colors all in one single day. 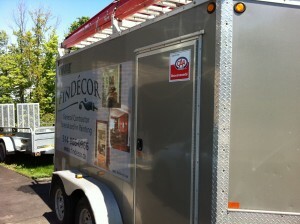 Well, one thing is for sure: quality is always a reached standard with Findecor painters! Some years ago, we did purchase a small and a bigger trailer in order to always have at hand extra equipment (paintbrushes, rollers, ladders and stepladders, spray painting gun, etc. ), materials (plaster, gypsum, wood, stucco, etc.) and products (paint, stain) when needed. there is no more need to run back to the store each time we want a taller ladder. Everything is there already. We are a very well organized team, and this increases our productivity. 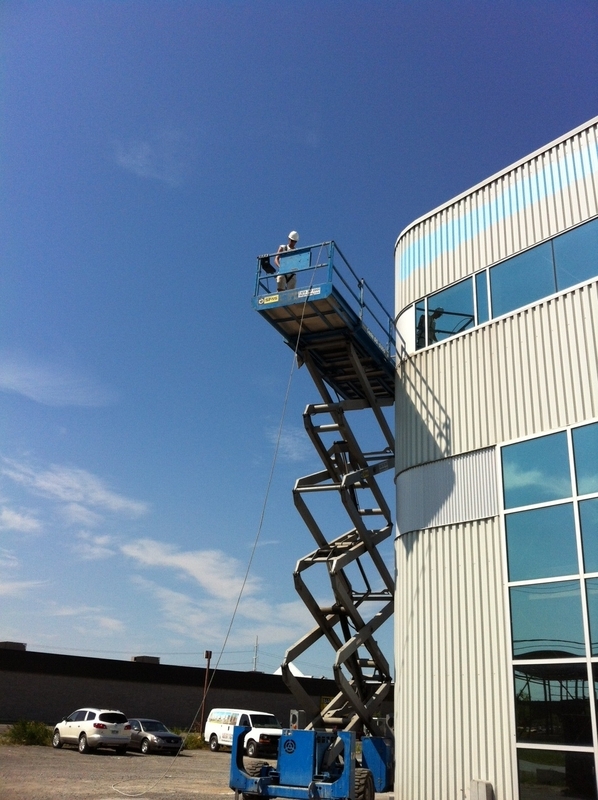 We save a lot of time during the exterior painting contracts since we own a lift. Actually, scaffolding for a 2-stroried building requires approximately 20 minutes to build, while a lift can go as high as 40 feet in just a few seconds. This often represents several hours of time-saving in just one contract! Without forgetting to mention that a lift is a lot safer than scaffolding. When the use of the lift is not possible, we use 12, 16, or 20 feet high ladders, which can be moved much more swiftly than scaffoldings. To paint high staircases, we do not use a stepladder —it increases the risk of falling, and do not permit an efficient work. 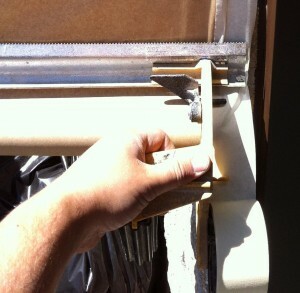 Instead of that, we use a telescopic roller handle that opens up to 16 feet. 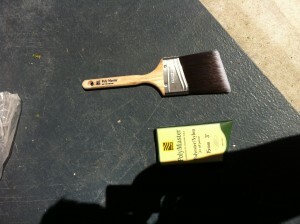 instead of the regular 2 inches large brushes, our professional painters choose to paint with 3 inches large brushes. this way, they can paint a larger area in less strokes. We can apply paint quickly and without any danger of making a mess because we take time to first take out all of the sockets, we cover the windows, floors, rugs, and all objects that need not to be painted. This allow us to work efficiently and without wasting so much time in cleaning at the end. This is a tool that may sound unimportant, but it is not! Just think about it: how much time, each day, could a painter loose trying to unstick the masking tape end? Many minutes, without a doubt! 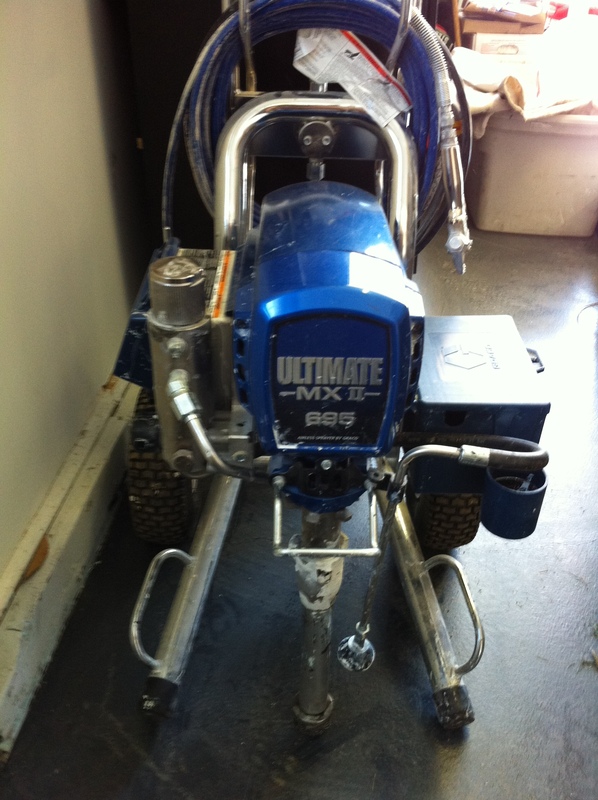 When possible, we like to use spray painting guns. This tool allows the paint to penetrate inside the little bumps and holes of the surface, a process hard to achieve with one coat when using only a brush and roller. Now, a faster service does not mean it will be more expensive. We work quickly because we have the right equipment. Actually, as our painters will stay in your building less time, you will even save money on their salary. To request the services of a team of fast and reliable painters, contact us. We will happily paint your building in a heartbeat.